Our Dog’s Aging Process – What Happens to Mind and Body? Aging dogs! Many of us who are dog owners but have not yet dealt with the issues of an aging, older dog are unaware of the many changes that take place in both the mind and body of a dog as he or she gets older. It is very important to understand what happens to a dog as he or she ages so that we as owners can both adequately prepare for our beloved dog’s latter years as well as implement our plans once they reach the twilight of their lives. First, let’s start with the changes that take place in the mind and/or personality of an aging dog. A sign that your dog is aging and moving into the final stages of his or her life is changes in your dog’s personality. In many cases, even if your dog was especially social with other dogs in his or her younger or middle years, if you see your dog start to get irritable or unfriendly around other dogs, you will know that your dog has reached the latter stages of his or her life. Many older dogs can feel threatened and very territorial toward younger dogs, especially if the younger dog is brought into the same household as the older dog when the older dog is in the latter stages of his life. If your dog is showing signs of irritability around other dogs (especially younger dogs), make sure you show your dog extra levels of attention and compassion to set his or her mind at ease. Older dogs can have trouble keeping up with younger dogs, so they need to know that they are still valued by their masters. Now, let’s move on the changes that take place in the body of an aging dog. 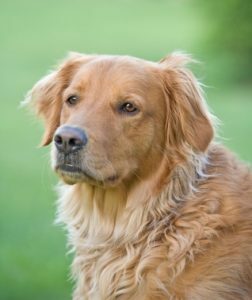 As your dog gets older, if you are alert to your dog’s physical condition, you will notice several changes that take place in your dog’s physical appearance. First, if you are feeding your dog the same amount of food that you have always fed him or her, but you notice that your dog is putting on weight, this is a definite sign of aging. Here is the reason why: as your dog gets older, his or her metabolism slows down, which means that your dog will require less food. In addition, this decrease in the amount of food they require is also due to the likely decrease in the amount of physical activity your dog takes part in throughout his or her day to day life. You can and should cut the amount of food you give your dog on a daily basis by up to thirty percent. This decrease will still supply them with an adequate amount of nutrition while keeping them from becoming overweight or even obese. Even if your dog is not overweight or obese (but especially if he or she is struggling with it), the aging process can cause many different problems with your dog’s bones and joints. 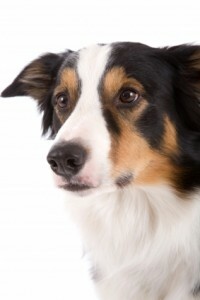 One of the most common ailments that an aging dog deals with is arthritis. This problem is especially prevalent in aging dogs that are also large breed dogs. If your dog sustained any kind of injury in its younger years, he or she may experience bone or joint pain related to that injury later in life. There are a couple of steps you can take to make sure to combat these problems that come with aging in your dog. The first step is to make sure that your dog takes part in regular, daily exercise. Keeping your dog’s joints loose and limber will help combat the pain of arthritis and other bone and joint pains they can become exacerbated if your dog does not exercise regularly. The second step you can take is to make sure that your dog sleeps on an orthopedic memory foam dog bed that is especially designed to help ease the bone and/or joint pain your aging dog can feel when sleeping. The proper orthopedic memory foam dog bed can drastically improve the quality of your aging dog’s life, especially if your dog is currently sleeping on a hard surface such as the floor. In cases dealing with aging dogs, memory foam dog beds are often the best solution for dogs dealing with joint pain such as arthritis. Memory foam is especially designed to remove pressure points on the joints of your dog while he or she sleeps. Think about it: your dog, especially as he or she gets older, will be spending a lot of time sleeping, and the quality of that sleep will affect the quality of your dog’s life while he or she is awake. If you get them a quality memory foam dog bed, they will experience the best possible comfort when sleeping, and will therefore enjoy their waking hours much more. While all aging dogs deal with pain, if you take the practical steps listed above, you can minimize that pain and give your dog the best possible life in his or her twilight years.